Emily was feeling restless. She announced to Percy that she was going to sell her house and move to Rhos-on-Sea. He was outraged, informing her that she was too old to move to the coast and should think about how she'll cope on her own. Alf's collapse turned out to be due to nervous exhaustion so Audrey was left running the shop. Ivy handed in her tabard to go off to Bettabuys and Audrey took the opportunity to blame her for Alf's condition one more time. To alleviate the pressure, she took on Phyllis as a cleaner permanently, with strict instructions she should never move her Capodimonte. The big event was Mike marrying Jackie. 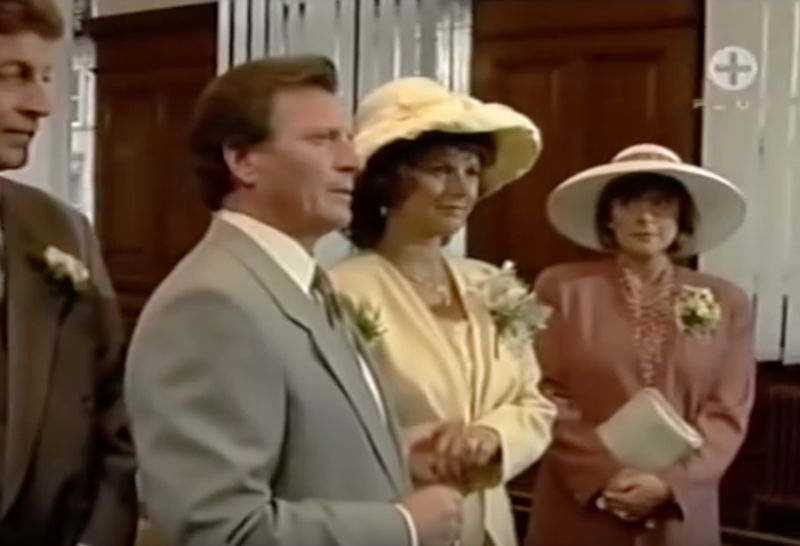 Phil tried out his best man's speech on Deirdre, but when he started making light of Baldwin's chequered love life, she got uncomfortable and told him about their affair. Mike was distracted by the company's money troubles, but Jackie finally persuaded him to walk down the aisle, having already agreed to sell the factory to Ralph behind his back. She gave the gift of unemployment to him as a wedding present. Mike was horrified. Ralph meanwhile was going through the accounts, and discovered the entry for Alcazar Holdings. In a somewhat random opening, a brass band marched down Coronation Street, playing Those Magnificent Men In Their Flying Machines. Everyone acted as if this was perfectly normal and it went on its way. Emily persisted with her attempts to sell number three, leaving Percy to mope round the Street, trying to palm himself off on other residents. When Emily got a viewer, he faked a plumbing problem to put him off, and I wondered why she didn't just stove his head in and chuck him in the canal. Mike and Jackie's honeymoon period lasted about thirteen seconds. He sulked because she'd not consulted him about selling the factory and she finally caved and agreed to cancel it. When she tried to tell Ralph, he told her about Alma and Alcazar. Jackie went round and confronted Alma, but her story matched up with Mike's excuses, and he actually seemed to come out quite well as a generous ex. Mike promised Jackie there were no more secrets, not knowing Phil had sworn revenge against Baldwin for refusing to bail him out. Phil's money problems mounted up even further. He dropped his request for cash to Mike from six grand, to three grand, to five hundred quid. Mike rightly detected desperation and told him to sling his hook, which he did - straight to Jackie's house. He told her all about Baldwin's shenanigans to stop her buying the factory, and also about his marriage to Susan (which was a big problem, for some reason? ), and she demanded Mike leave. When he refused, she jabbed a shotgun in his ribs, then went off sobbing. The next day Baldwin arrived at work to find Ralph in his office and a bin bag full of his stuff. Phil wasn't much better off though; he borrowed £200 off Deirdre then gambled it in a card game. For once, the luck was with Don Brennan, and he took the £200 off Phil, plus an IOU for a further £450. Also at the card game was Des, which was a shame, because he should've been at home keeping an eye on his missus. She'd been flirting with an architect in the shop and he'd given her his card - very tempting to a woman abandoned by her husband for his mates. At the pub, Alec received some bad news: his ex-wife had died suddenly. Don and Deirdre continued to pursue Phil, but he seemed to have vanished off the face of the earth. If Don had known what was good for him he'd have just given up on getting his £450 because Human Septic Tank Ivy was absolutely furious. Vicky was quiet and withdrawn, not even crying when she saw her parents' bodies, and the only thing that brought her out of herself was riding her horse again. She got back to the Rovers and told Bet and Alec she didn't want to live there. Percy asked Mavis for help in persuading Emily not to leave, but she became angry, and pointed out that maybe Emily wanted to go because of him. This cut to the bone and he decided to move out. Jackie decided there was only one way to get rid of Mike: pay him off. She gave him £100,000 for a fast divorce and a promise to never see her again. Broken, Mike took the cash and drove away from Wife No. 2. As far as @merseytart is concerned if Phil stayed lost that would be perfectly fine. 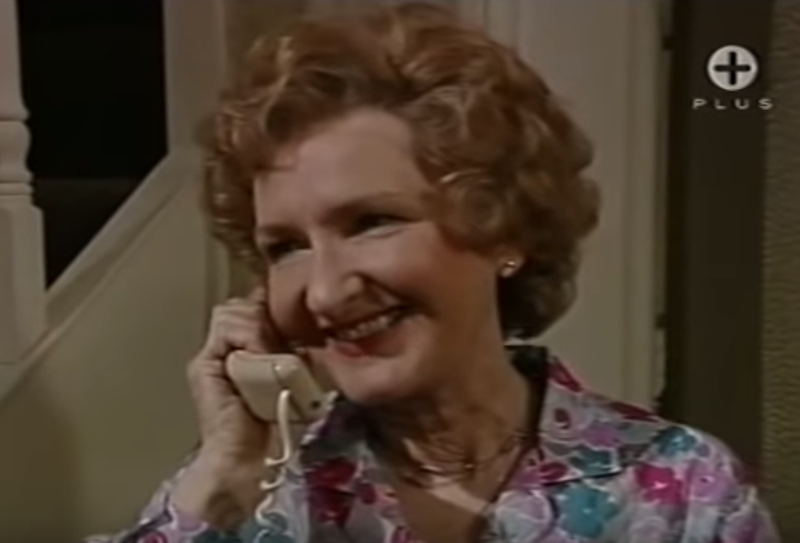 Classic Corrie is on ITV3 every weekday at 14:50. I always love watching Classic Corrie but this week's episodes were fantastic. I remembered that Mike and Jackie weren't married very long but forgot just how short a time it was! Mike's face when he saw the shotgun was loaded!! I don't think he stays broken very long does he? And the first Mrs McDonald has arrived! A brilliant week - superb acting by the Gilroy's and Baldwin.